Can You Earn Extra Money With Uber? Home › Income/Business Ideas › Can You Earn Extra Money With Uber? 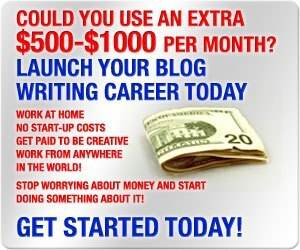 One of the major themes here at OutOfYourRut is helping readers find ways to earn money. Sometimes that involves business ventures, sometimes careers, and sometimes ways to earn extra money to supplement other activities. In this post I’d like to explore the potential to earn extra money with Uber, one of the most popular “moonlighting” activities of the still very young 21st Century. Before we get into the topic, I must disclose that I am reviewing the Uber Driver program as part of their affiliate program. That means that I will receive compensation if you sign up with the service. A lot of people are now working through Uber, as well as other “ridesharing” services, so there must be something of value here. Based on my research, I think Uber can work for people under certain conditions, but I’d stop short of saying that it looks like something for everyone. This won’t be a “yay-rah Uber” review. In writing this post, I’ve reviewed the Uber website, as well as articles critical of the service. I’ve also interviewed someone who has been driving for Uber for the past year, and his input is consistent with what I learned on both the Uber website, and in the critic’s articles. My conclusion is that Uber does offer a certain level of opportunity. It won’t make you rich, but it could be an excellent additional income to help in creating multiple income streams. It also can make sense when no other income source is available to you. Uber is a rideshare service, which is an activity that connects riders directly with drivers. Though it’s similar in concept to traditional taxi services, it’s the interaction between customer and driver that makes all the difference. Ridesharing uses an internet app to directly connect the rider and the driver, while taxi services tend to be more centralized in their operations. For this reason, ridesharing services are less expensive to use. And that’s causing ridesharing to take off in a major way. Ridesharing services accounted for 49% of the ground transportation for business travelers in 2015, compared with 37% for car rentals and just 14% for taxis. Uber is by far the largest ridesharing service in the world, including the US. It began in Paris in 2008, when the company’s founders had trouble getting a cab in a snowstorm. It was then and there that they decided that they should build an app that would allow riders to hook up with independent drivers who could quickly, easily and more cheaply fill the void left open by traditional tax services. The service is available in nearly 500 cities and claims to have made more than a billion connections worldwide. It’s easy to see how a service like Uber would be popular among riders, but it was also set up to attract potential drivers to provide the service. As a driver, you can use the Uber app to earn money driving riders from Point A to Point B. In addition to being a way to earn money, it’s also a completely flexible gig that enables you to work only when you want. One of the core attractions of Uber is its simplicity. You sign up for the app, where you complete a very basic application. Once you’re signed up, you can begin driving in just a couple of days. There are no fees required to join. Once you have the app, you can turn it on when you’re ready to drive, and turn it off when you aren’t. In this way, Uber is an excellent way to earn extra cash in between other activities. When the app is on, trip requests will begin to appear. It will show you who you’re picking up, as well as provide directions to both their location and their destination. Once you complete one trip, another will become available. You can continue the cycle until you’re ready to sign off and call it a day. Payments. Uber uses a cashless payment system, so you never have to worry about collecting fees from riders. The fare is automatically charged to the rider’s payment method. This will also avoid the need for you to carry cash, or to risk unpaid rides. Of course, you are always free to accept rider tips in cash. The fares you earn are automatically deposited in your bank account every week (on Wednesday, I’m told). The app will enable you to track your earnings on each trip. You can also get a free Uber debit card, which will enable you to make withdrawals from your income account. Uber fee. Uber takes 25% of the fare paid by the rider, and you get the rest. Surge pricing. Uber uses an automated algorithm to increase prices to “surge” price levels. This system responds to rapid to changes of supply and demand in the market, and also to attract more drivers during times of increased rider demand. Riders are notified when they make a reservation that the fare for the ride they want has increased. As a driver, a red alert appears on the app letting you know of a surge in activity in an area. You can be paid up to 800% of the usual fees for providing service during a surge. Rating scores. Both driver and rider can rate one another, on a scale of one to five, five being the highest. Uber analyzes the reviews to make sure all participants in the system are playing nice with one another. Too many low scores can get either a driver or a rider shut out of the system. Driver support. Uber offers 24/7 support for its drivers in the event that they find themselves in a questionable or difficult situation. Uber has specially trained incident response teams available for this purpose. Turn-by-turn navigation. The app provides turn-by-turn directions to your rider’s pickup location and destination, which will save time and confusion. Convenient pit stops. The map provided by the app shows you the nearest gas stations with the lowest prices as well as public restrooms for when you need to take a break. Profitable hotspots. This feature keeps you close to where the most driving opportunities are. It’s a live map showing areas where riders need drivers most. Activity and event updates. This provides updates about local events and promotions in your city, and tips on how to deliver the best Uber experience. Where Uber seems to work best. Uber works best in big cities, and college students are a target group. Nights and weekends tend to be much better than weekdays, and popular events like concerts and sporting events are big draws for people looking for rides. So are bars! People often turn to rideshare services after a night of drinking. That means that some of the best times for business are on the weekends after major events end and bars close. The website says you can make $15-$25 per hour on average. The Uber driver who I interviewed for this review said he’s averaging right at about $20 per hour. Remember of course, that Uber takes 25% of that, and you do have expenses in connection with using your vehicle for the gig. If you don’t have a car that will meet Uber requirements, you may be able to lease a vehicle. Uber offers car lease arrangements for its drivers with Xchange Leasing, Hertz and Enterprise. It generally requires a deposit of $250, and no credit check is needed. The leasing arrangements come with no mileage caps, and includes both insurance and standard maintenance. Vehicles can be rented by the week, or for longer periods. Naturally there will be a charge for the lease, and you’ll have to factor this into the income equation when deciding if Uber will work for you. Alternative driving opportunities. If you don’t like the idea of transporting people, Uber also has has product delivery – UberRUSH. This includes delivering food, flowers, clothing and other goods. The job goes by the titles of “courier” or “delivery partner”. UberRUSH integrates with platforms like Shopify and Clover so you can build deliveries right into your day-to-day operations. Other delivery channels include WalMart, Nordstrom, 1-800 Flowers, and T-Mobile. This may be a good alternative if you’re not drawn to the idea of transporting people. Uber discounts. Uber offers discounts to its drivers for necessary expenses, including gas, maintenance and cell phone service. For example, they offer discounts on cell phone service of 15%-18% with Verizon, AT&T and Sprint. They have discounts of up to 15% with Auto-Zone, Firestone, Maaco, Meineke, Midas, Jiffy Lube, and Valvoline. They also offer a fuel card program that provides discounts on gasoline, though you do have to qualify for this feature. Car insurance has traditionally been problematic when it comes to any delivery service jobs. Personal auto insurance policies don’t cover delivery related occupations, and that includes Uber drivers. They also don’t cover pizza delivery, newspaper delivery, couriers and often sales people who make regular business use of their cars. Uber requires all of their drivers to have personal car insurance. However, Uber provides supplemental liability insurance coverage while the app is on. Here’s how it works: When the Uber app is off, a driver is covered by their own personal car insurance. When the Uber app is turned on, a low level of liability insurance becomes active. When a trip is accepted, a higher level of coverage kicks in and remains active until the passenger exits the vehicle. There is no charge for the commercial insurance provided by Uber for times when passengers are in your vehicle. Previously Uber had only offered coverage when a passenger was in the car, but the company updated their policy after a series of accidents which resulted in various lawsuits. The current policy covers your liability to other drivers, but it does not cover damage to your vehicle. If you want auto insurance coverage for your Uber activities, you’ll have to get a commercial policy, and that will cost thousands of dollars per year. Just a guess here, based on my own survey of people in delivery occupations, but they usually drive despite the lack of insurance coverage. Lease a car through Uber. If you lease a car, as described above, your insurance is included in the rental, and you do not need to maintain additional coverage. Metromile/Uber partnership. Metromile is an insurance company that offers auto insurance specifically for rideshare drivers. It works in tandem with Uber’s commercial policy, and keeps your insurance in force 24/7. It works like this: When you are driving for personal use, or if you turn your Uber app on, the Metromile policy covers you. But when when a rider matches a ride with you, and when the rider is in your car, you’re covered under the Uber policy. Metromile coverage is available in California, Illinois, Washington, New Jersey, Oregon, Pennsylvania and Virginia, but is expanding into other states. You pay for the policy, and the cost might look something like $40 per month, plus 5 cents per personal mile. So if you’re personal mileage is 1,000 per month, your premium would be $90 – the $40 flat fee, plus $50 for mileage (1,000 X .05 per mile). The coverage can also be extended to other members of your family. The mileage is tracked when you install a tracking device on your car, referred to as the Metromile Pulse device. You plug it into the onboard diagnostic port (OBD-II) of your car, and it tracks your mileage automatically. Third party insurance providers. The number of insurance companies offering coverage for rideshare workers is increasing. Right now, Geico, USAA, Farmers, Allstate, MetLife and State Farm are offering the coverage in select states. There are a few aspects of driving for Uber that you need to be aware of. I suspect that most people who are interested in becoming a driver (in any capacity) are at least loosely familiar with them. Income can fluctuate. Driving for Uber is very much an entrepreneurial activity. That means that your income will rise and fall, depending upon a combination of passenger demand and your own availability. Using your own vehicle. You will be racking up mileage and wear-and-tear on your car that will hurt its resale value. You’ll also have to expect some passenger related incidents, such spilling drinks, etc., in your car. Plastic seat covers and floor mats are strongly recommended. Out-of pocket expenses. You’ll have expenses for gasoline, tolls (if you have them in your area), and cleaning your car. Speaking of which, you may need to keep your car cleaner than you normally would for the benefit of your customers. The cost of these expenses should be at least partially offset by the Uber discounts described earlier. NOTE: Expenses incurred in connection with your Uber activities can be deducted from your income for tax purposes. That will lower your taxable income, as well as the amount of taxes that you will pay on that income. You have a choice to deduct either actual expenses, or to take the IRS standard mileage rate, which is 54 cents per mile for 2016. Both methods apply to business use percentage only, and not to personal miles. Geographic limitations. Uber works better in some locations than others. It seems to work best in large metropolitan areas, especially those with popular entertainment districts and busy airports, both being rich in potential customers who need a quick lift on short notice. If you live in a rural area or even a very small city, there may not be much demand for the service. Certain states may require that you have a commercial driver’s license (CDL). If your state requires you to have a CDL when driving for Uber, you could be subject to prosecution if you get into an accident and don’t have a commercial license, even if you have a commercial auto insurance policy. However, even if a CDL is required, it may not be required if you work part-time. Check with the laws in your state. You’re in independent contractor. That means that Uber does not withhold income taxes on your income. You’ll have to set up quarterly estimated taxes for federal income taxes, as well as for your state, if it has an income tax. It’s completely flexible. When you drive with Uber you have complete control over your schedule. That makes for a better life/work balance. When you have a traditional part-time job, you generally have to keep a schedule, and that limits what you do in your life. Earn as much as you have time and energy for. There really are no limits on how much money you can earn. It will depend entirely on your own time and effort. No boss, and no office to report to. If you already have a boss on another job, the last thing you need is another boss. No further elaboration is required. It can work well with other income generating activities. The total flexibility of Uber makes it a good match with either a full-time or part-time job, and especially if you have a business. You can drive when you want, and tend to other activities when necessary. It can work completely around your schedule. Get paid weekly. Most jobs today pay either semi-weekly, bi-monthly or monthly. That may be good for the employers, but it can be a budgeting nightmare for the employee. Since you get paid weekly with Uber, it can be a good solution for your cashflow problems, especially if you have a “day job” that pays less frequently. No special qualifications required. You just need to be a licensed driver with a good driving record and a clear criminal history. Unless a CDL is required in your state, you don’t need any special education or certifications. It can be a full-time or primary occupation. Throughout this review I’ve generally referred to driving for Uber as a part-time venture, but it could also be ramped up to full-time. Simplicity. The whole process is driven by the Uber app, which eliminates guesswork and reduces it to a mechanical process. Will Uber Work For You? As I’ve already indicated, I think that Uber will work best as an income supplement. Since it’s completely flexible – perhaps more so than any other venture – it can work well with a full-time or part-time job. It can also work for a retiree looking to earn additional income to supplement retirement income, or for a college student who needs to make more than minimum wage, and needs a completely flexible schedule. But as someone who is self-employed, I think driving for Uber can work especially well for small business owners. A lot of small businesses fail for want of sufficient cash flow. Driving for Uber could be an extra income source to cover a start-up period, or to fill in during a business dry spell. Since it’s completely flexible, you can earn money during your down time, without taking time away from your primary occupation. And again for the self-employed, you may even be able to do it at some times, and take a break when your regular business income increases. People are driving for Uber as a primary occupation, including the man I interviewed for this review. It’s not the kind of venture where you’re going to make six figures, but it can work if you’re looking to make money while you figure out what to do next. And for the unemployed, Uber driving could be a solid entry back into the job market, especially after a long time out of work. As I said at the beginning, Uber isn’t for everyone, but it can be just what’s needed for your individual circumstances. If you want to get more information on Uber, or if you think you want to give it a try, you can go to the Uber website and check it out. It’s a simple process, with few requirements, so if you need to make money in a hurry, this could be your opportunity. 2 Responses to Can You Earn Extra Money With Uber? One of the things that’s really interested me about Uber from speaking to various drivers is how different people approach it in their own ways. Some have told me that they have a set schedule they like to adhere to while others just head out whenever they feel like it or when they need some extra cash. But I think my favorite was one driver who said that goes out every morning until he makes what he used to at his old job and then calls it a day. Overall I think it’s a very intriguing concept with a ton of flexibility. Hi Jonathan – I think what you’re alluding to is the total flexibility that Uber offers. You can really handle it any way you like, which is something that categorically can’t be said of most income generating ventures. I think that’s Uber’s real hook. You won’t get rich driving for them, but you can make extra money on your own terms, and that’s the real selling point. My feeling is that Uber’s model is likely to spread to other industries. It’s already happening in the hospitality field with AirBNB. The sharing economy is bridging the gap between the consumer, who needs to save money, and the un-/under-employed worker who needs a way to make a living. That makes it a mixed bag overall. On the one hand it’s breaking down the traditional economy, but on the other it’s replacing it with something that’s more practical for all concerned. It’s a free market response to an economic order that is resisting reform to its own detriment. That said, I’m glad I’m not a cab driver – or the owner of a cab company. Uber is eating them for lunch.